Intricate, painstaking, sturdy yet incredibly delicate...scrimshaw has been a beautiful tradition on the sea and at the sea-side for centuries. Far from the comforts (and distractions) of land, whalers from America, England, Australia, and Portugal could spend the long hours of attention necessary to perfect the scrimshander's art. They forgot their loneliness and discomfort as the crafted pieces like those shown in over 400 vivid color photographs in this new, fascinating book. Martha Lawrence's research covers every facet of the art of scrimshaw, from its origins on whaling ships, to the daily life of the sailor/scrimshander, to the materials, themes, and tools used for creating these objects. She also discusses modern scrimshaw artists. 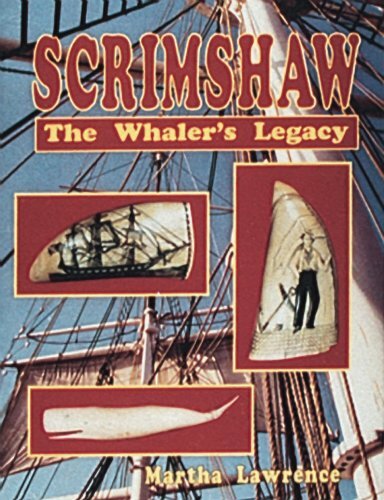 Today's collector will find her chapters on collecting scrimshaw work especially helpful, particularly when used in conjunction with the thorough price guide. Martha Lawrence is also the author of Nantucket Lightship Baskets and is a professional maker of Nantucket baskets in Dover, Massachusetts.